Chris Palmer, owner of East Coast Explorations, takes a sip from a freshly pumped test well in Lincoln in May. 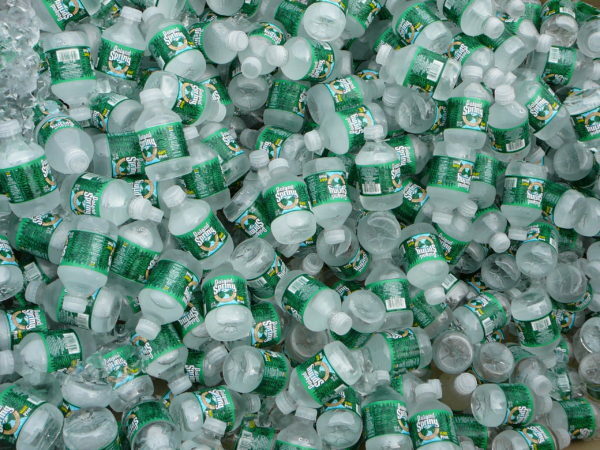 PORTLAND, Maine — A group of bottled water drinkers has brought a class action lawsuit against the company behind Poland Spring, alleging that the Maine business has long deceived consumers by mislabeling common groundwater. The civil suit was brought by 11 people from the Northeast who collectively spent thousands of dollars on Poland Spring brand water in recent years. It is seeking millions of dollars in damages for a nationwide class and appears to hinge on whether the sources of Poland Spring water meet the Food and Drug Administration’s definition of a spring. The suit comes as the company, a subsidiary of the Swiss food giant Nestle, is looking to expand its operations in Maine. But the 325-page lawsuit, which was filed by lawyers from four firms, claims that none of the company’s Maine water sources meets the federal definition for spring water and that the company has “politically compromised” state regulators. Rather than spring water, Nestle Waters is actually purifying and bottling groundwater, some of which comes from sites near waste and garbage dumps, the suit claims. This is not the first time that Nestle Waters has faced such allegations. In 2003, it settled a class action lawsuit alleging that Poland Spring water doesn’t come from a spring. In that case, the company did not admit the allegation but reportedly agreed to pay about $10 million in discounts to consumers and charity contributions. Poland Spring has gotten away with this deception, the suit claims, by co-opting state regulators and interweaving its interests with those of state government. Since 1998 the company has generated millions of dollars for Maine through licensing agreements, and since 2003 it has had an executive on the governor-appointed body that oversees the state drinking-water regulation enforcement agency, the suit states. The Maine Drinking Water Program did not immediately respond to a request for comment. Falsely labeling its product as pure spring water has allowed Nestle Waters to sell Poland Spring water at a premium, the suit states. The 11 consumers who brought the legal action are seeking at least $5 million in monetary damages for a national class and several state subclasses. They requested a jury trial. The lawyers who filed the suit did not respond to requests for comment.